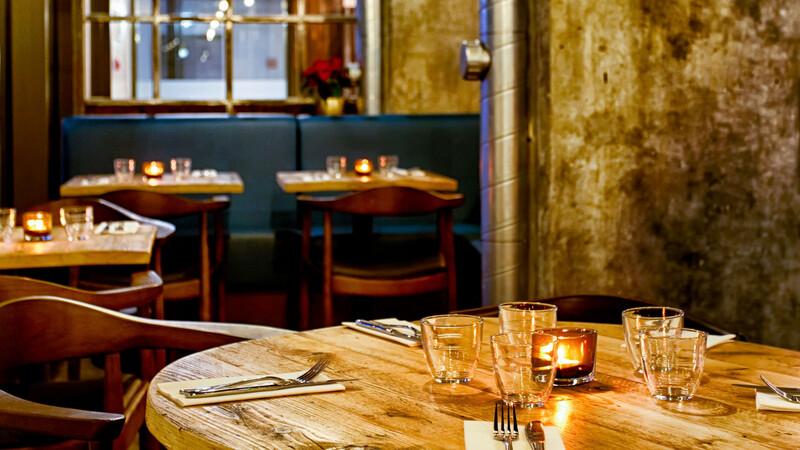 Crate Brewery is a must-visit location for an Irons game feast. Ah, London stadium – an arena that's been graced by the musical talents of Beyoncé and Jay-Z, the footballing talents of West Ham United and the very same venue where the 2012 Summer Olympics and Paralympics came, saw, and conquered an entire nation's interest. Never before have we all sat transfixed in front of the television by a man and his pommel horse. And never again will we find ourselves discussing dressage at the water cooler. I mean, probably. At least until the next Games rolls around. 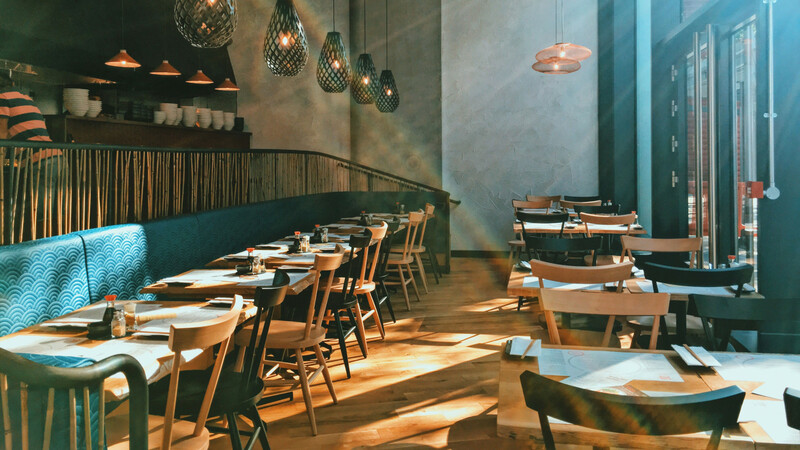 It's unsurprising that the area around the Queen Elizabeth Olympic Park has been given a hospitality boost over the last few years. Which has been silver lining for the Hammers fans forced to relocate from the Boleyn Ground and a definite bonus for those who want to eat something other than popcorn for footy fodder. 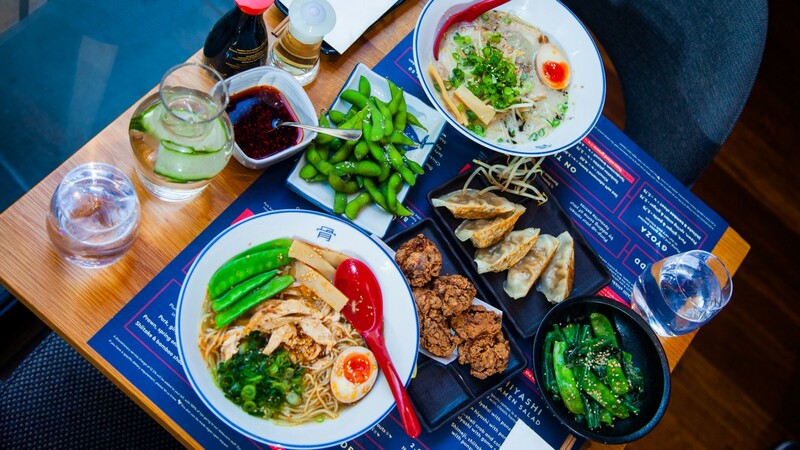 Yes, there are now, more than ever, a glut of popular food and drink outlets around Stratford where you can get a pre or post-game feast in. Finding the places that won't leave you disappointed (like you will be when you see what playing "the West Ham way" means in 2019) is key. To help sift through the lot, we've put together this list of where you can eat, drink, and be merry both before and after 90 minutes of inevitable disappointment. 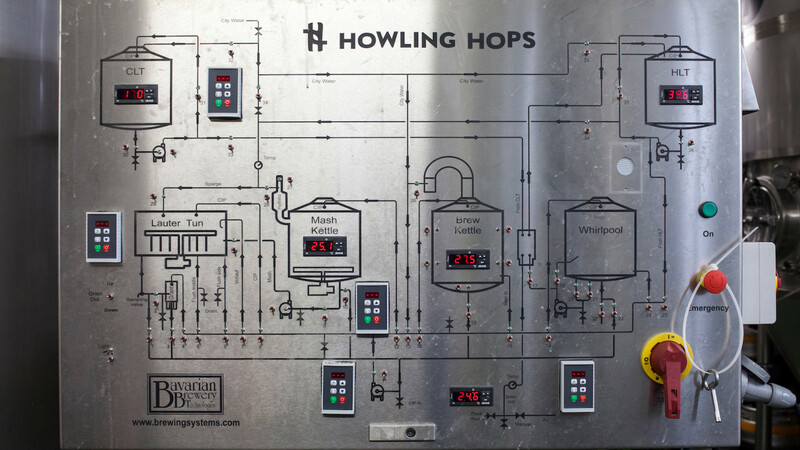 The folks at Howling Hops are mad about beer; they eat, drink, breathe, and even brew the stuff. As the UK's first dedicated tank bar, Howling Hops's Queen's Yard site is somewhere you can expect to get a true brew experience that's heavy on the hops. A range of seasonal beers and unique single-batch brews complement the brewery's already jam-packed arsenal of juicy IPAs and soothing lagers. 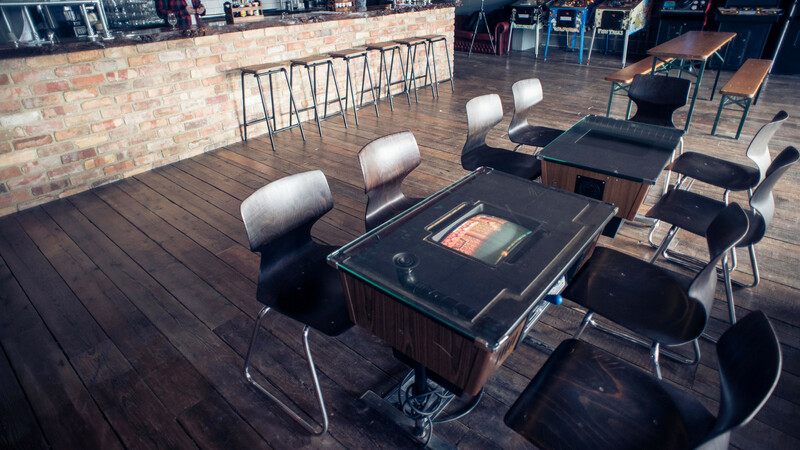 Four Quarters East is a bar where you can get an entirely different sort of game on inside the boundaries of the Olympic Park. 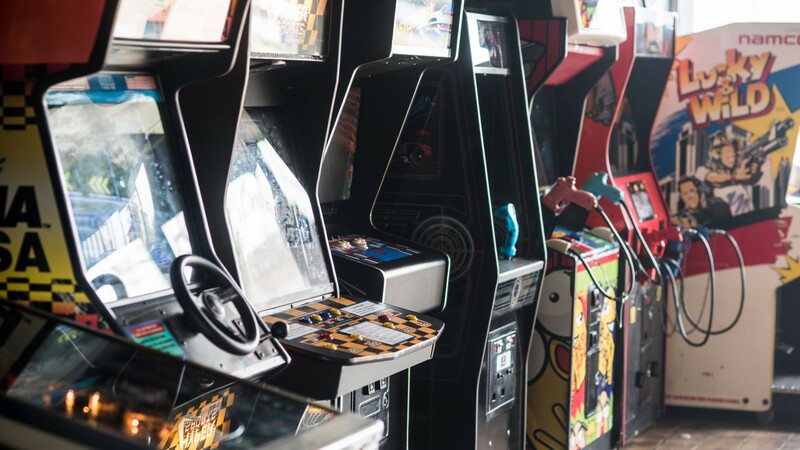 It's might be less "beautiful" and a lot more "8-bit", but there's still plenty of enjoyment to be had at this popular Hackney Wick gaming bar. Space Invaders, Crazy Taxi, and Ms Pacman are all ready and waiting for you to etch your name into the high-score hall of fame. Just make sure you go easy on the dirty words, Chandler Bing. 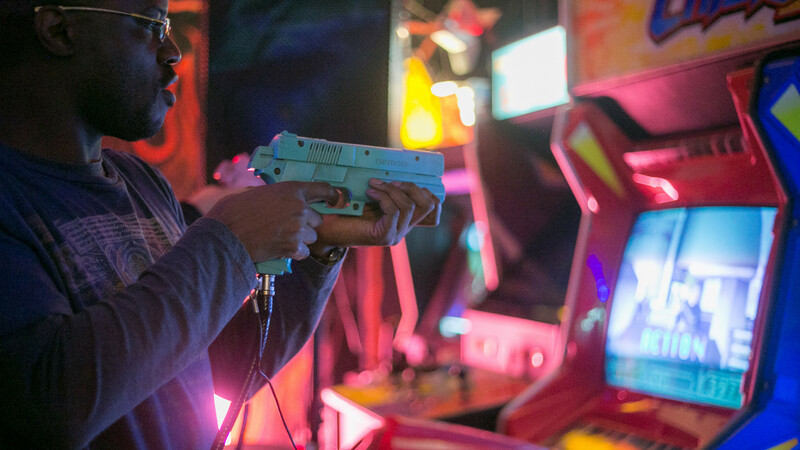 There's pizzas named after the Ninja Turtles on the menu and Mondo Brewery's Dennis Hopp'r IPA on draft to keep you occupied while you wait for your turn on the joystick. Finding a halfway decent bar around Stratford can be thirsty work. 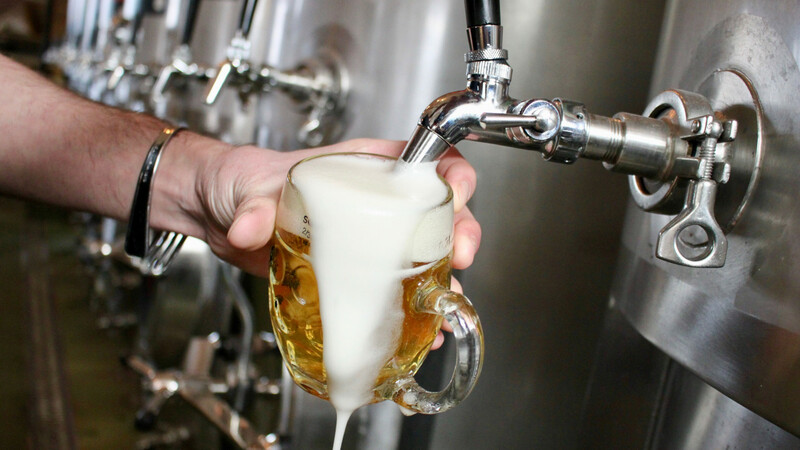 Tap East, a specialist beer bar and microbrewery, is here to quench you of your parched state. 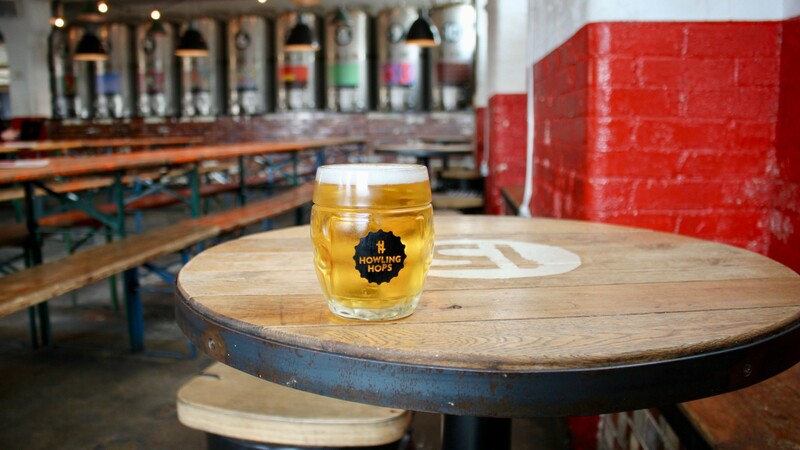 Featuring a regularly changing roster of 16 Tap East beers (including the light and drinkable East End Mild) and multiple guest draught beers, Tap East is perfect for the diminutive little beer geek that resides in us all. If you’re late for kick-off you can grab from a selection of over 100 international bottled beers that Tap East has got for purchase and neck it on the way. Crate was established in 2012 during the Olympic heyday, but our excitement about it hasn’t diminished one iota. Pizza and beer go together like peas and carrots, so anywhere that serves great examples of both is going to be just fine in our eyes. Crate was established in 2012 during the Olympic heyday, but our excitement about it hasn’t diminished one iota. Crate's Limited Edition beers are poured straight into the bar from The experimental brewhouse nearby. And alongside the full Crate range, rotating taps are on-hand to showcase the rest (and best) of what craft beer has to offer. The pizza is out of this world, too; stonebaked flat boys that span from your regular margherita to some pretty out there Kashmiri dahl-topped creations. 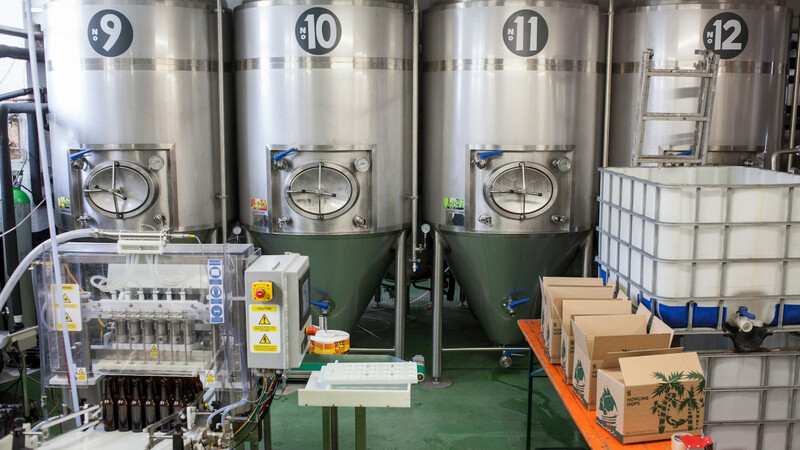 Crate Brewery excels at just about everything it does and, unlike a box of chocolates, you know exactly what you're gonna get. The people there are also fundraising for a new building at the moment so get yourself involved to help give the brewery a brand-new upgrade. Remember how Adriano used to wear the #90 when he played for Fiorentina? No? Well, this number 90 is a lot more memorable. 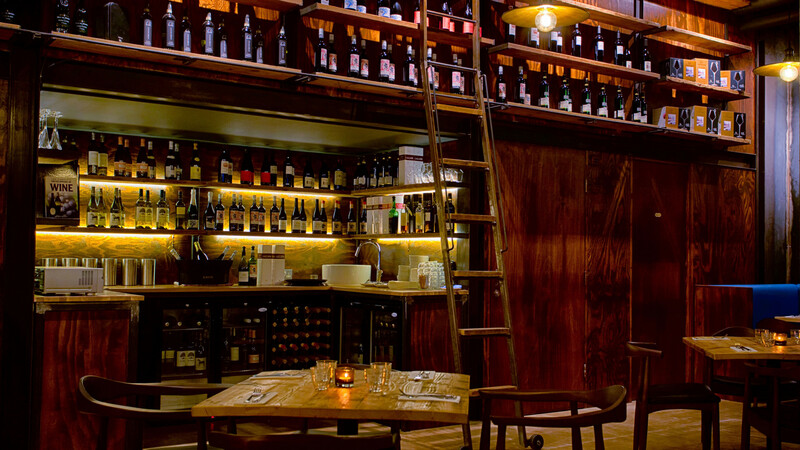 An innovative cocktail list and a strong range of local craft beers are some of Number 90 Bar & Kitchen's biggest draws. The exterior is ideal for whiling away some time in the sun at the canal side terrace and the interior is kitted out with a giant disco ball. I mean, what more could you ask for? With an events programme that celebrates everything from local music to comedy and film, Number 90 has got a bit of everything to appeal to more than just your typical sports fan. Though the latter are more than welcome, too. The Sunday roast is a particularly lovely way to see in a weekend fixture. Billy Bonds, Trevor Booking, Scott Parker, The Rib Man. There's no denying that Mark Gevaux is a West Ham legend whose name will be sing in the rafters for years to come. Formerly taking up residence outside the Boleyn Ground, you can now find the Rib Man's scorching hot rolls every Irons home game at Truman's Brewery. Not only are The Rib Man's fall-apart baby-back ribs sourced from pigs reared on Norfolk and Suffolk farms, but the Holy F*ck sauce he coats them in is made by the very man himself. Dig in for some eye-watering, lip-ripping goodness and douse the heat with a range of the the beers all freshly brewed on-site. Everyone arguing about where to eat? In need of a real people pleaser? Tonkotsu is always a good shout. Everyone arguing about where to eat? In need of a real people pleaser? Tonkotsu is always a good shout. 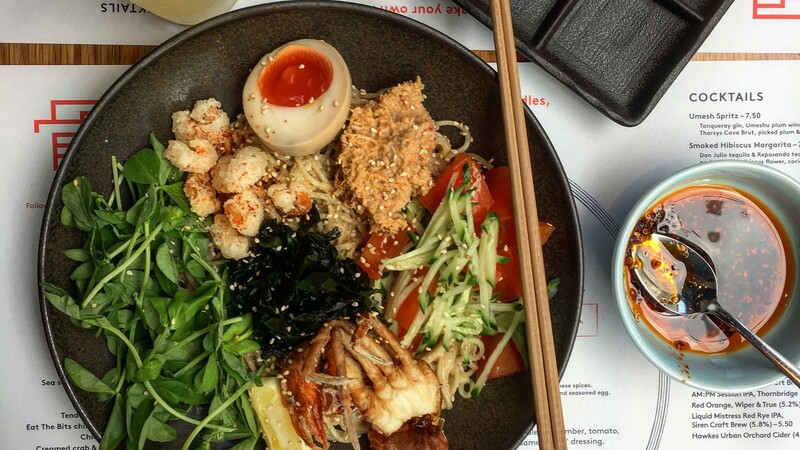 After all, even the pickiest of eaters will find it hard to say no to a heaping bowl of ramen. 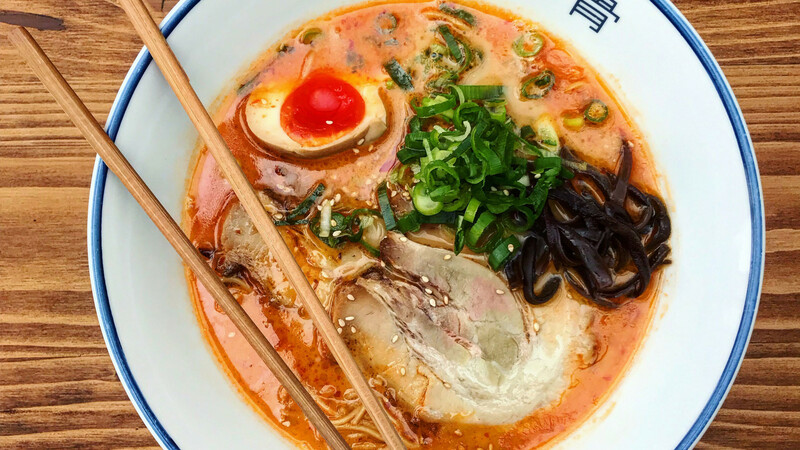 And, for a very reasonable price, you can get yourself a quality bowl of the cockle-warming noodles at Tonkotsu's Stratford locale. Slurping on the miso mushroom (classic homemade noodles in a konbu and shiitake broth) is an efficient eating experience that won’t let you down. 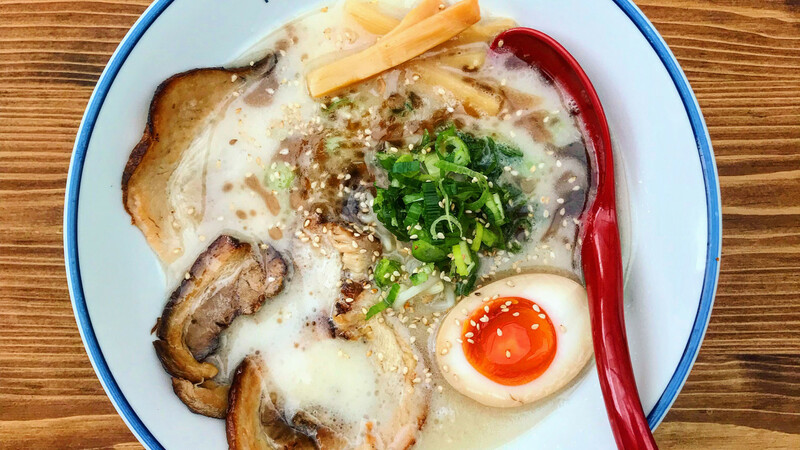 If your mates aren't up for a Tonkotsu, the answer is real simple: get new mates. 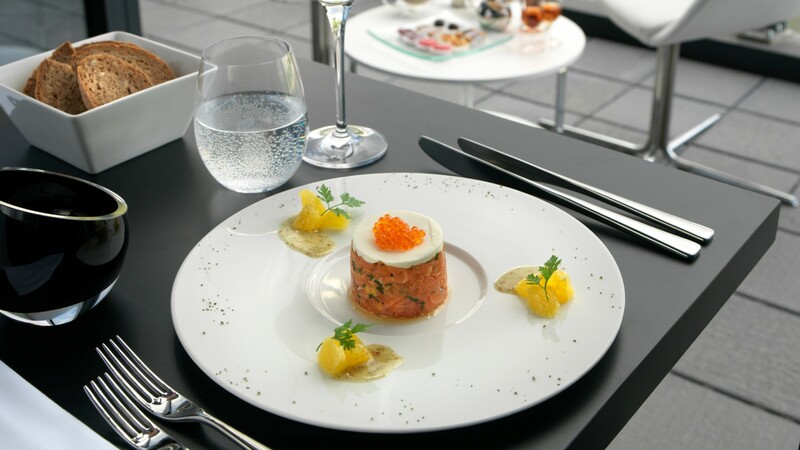 Located just a five minute walk from the stadium, Forman's is where you can get your fill of London Cure smoked Scottish salmon – from London's oldest salmon smoker – and a pretty top view of the Olympic Stadium and the River Lea. Forman's isn't the sort of restaurant where you'd tuck hell-for-leather into a pre-game pie. A pre-game potted chicken liver parfait is lot more like it, if you catch our drift. It's a real classy gaff, this. The Forman family has also been curing and smoking fish in the East End of London since 1905, so, rest assured that you're in safe hands. The Pie Crust isn't where you come for pie. The Pie Crust is where you come for authentic Thai food served in liberal heaps and spades. Hot and sour and tom yum soups are packed with a warming kick. 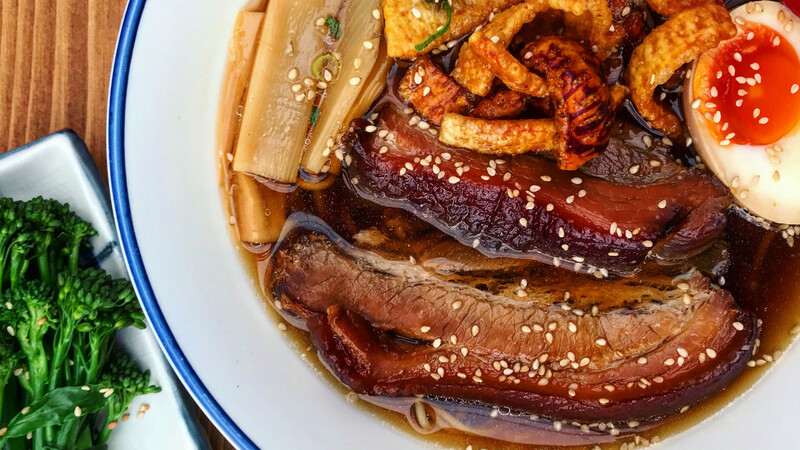 Hearty pad thais will prepare your stomach for an ensuing 90 minutes of pints. Kao pad kaprow stir fried rice comes armed with chilli and holy basil to deliver a rice-based volley on your taste buds that would make Declan proud. No, there’s nothing fancy about The Pie Crust Cafe, but it's a family-run restaurant capable of filling you up with hot food and happiness. Sometimes that's all you need. 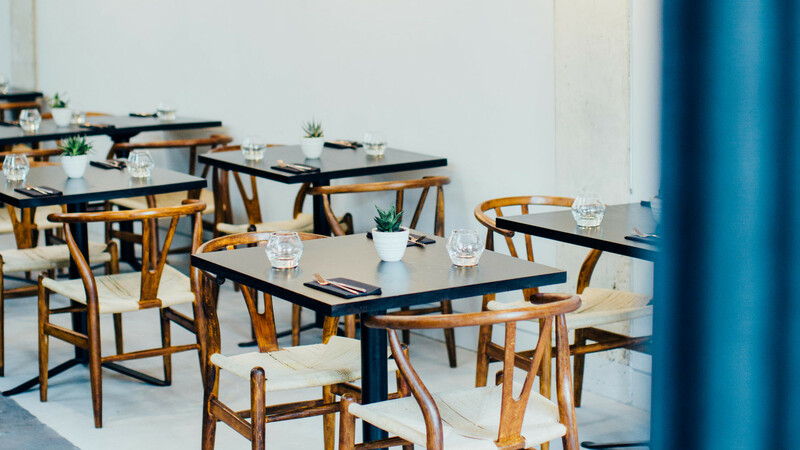 Having created a swell in Dalston's third wave coffee tide around 2009, this second branch of trendy café Tina We Salute You has brought a refined edge to the East Village. Excellent coffee, a great breakfast and brunch menu as well as wines, cocktails and locally sourced real ales are all par for the course. So, too, is a smattering of vibrant works of art from the rotating installations that make up the decor. Tina is East London in a nutshell: an establishment that champions local produce to support (and feed) local people. Eat smashed avo and homemade granola in their natural environment. Alfred Le Roy is a cocktail bar with oodles of character. By character we, of course, mean that it's on a canal boat. Kooky, huh? 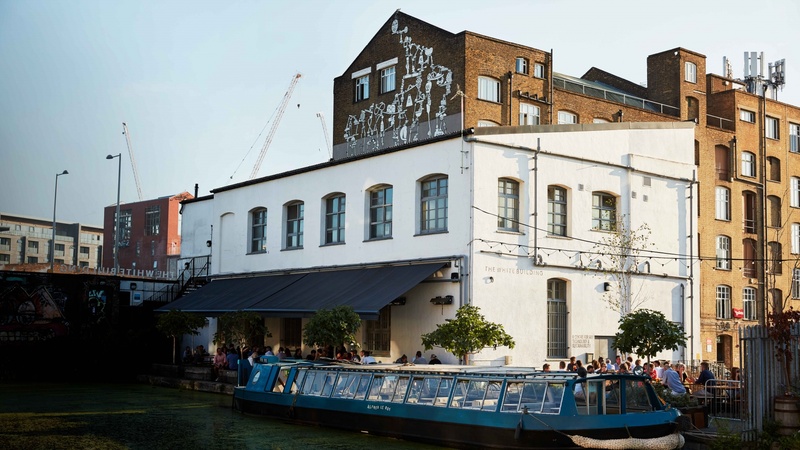 Drop anchor canal side for a cheeky cocktail or simply get stuck into a weighty cheese sharing platter from Neal's Yard Dairy before the soccer starts. Alfred is primarily a watering hole (emphasis on the water aspect, obvs) but the option to have a charcuterie spread or veggie platter adorned with hummus, falafel and spinach feta parcels is what makes Alfie worth a visit. You can even hop aboard for a special canal cruise if you feel like escaping the mid-table mediocrity of urban London. If you're after a bit of spectacle after watching a Hammers game (and God knows you're probably in need of that), we'd recommend paying a visit to Cornerstone in Hackney Wick. 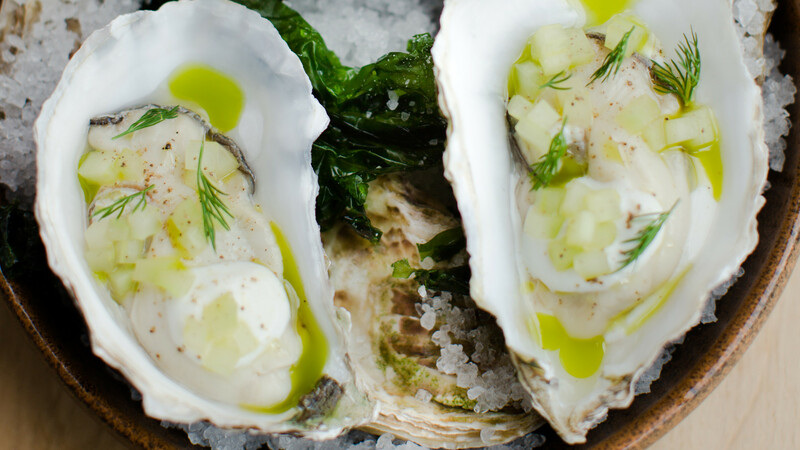 Fresh off his impressive appearance on The Great British Menu, chef Tom Brown is serving a produce-forward menu that celebrates the best ingredients the isle has to offer. 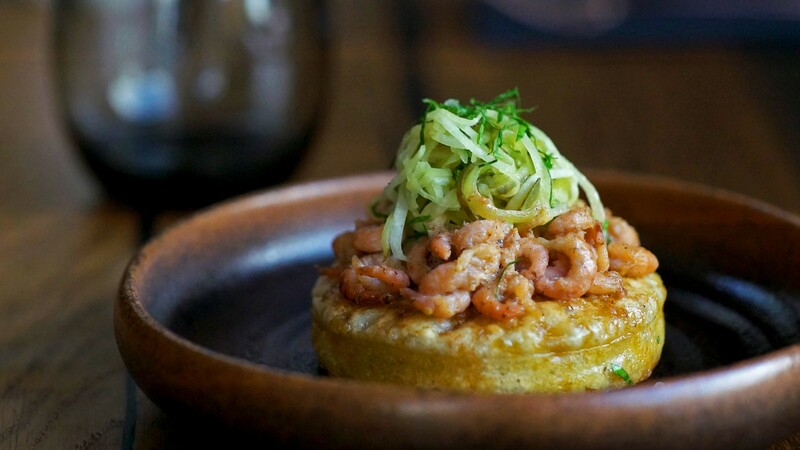 Like delicate potted shrimp crumpets. Oh, yes. Cornerstone was awarded 3 AA Rosettes (the culinary equivalent of lovely Bobby lifting the cup) and has more than earned its reputation as one of the best places to get expertly cooked plaice. Dine here and you'll remember what it's like to be a winner. 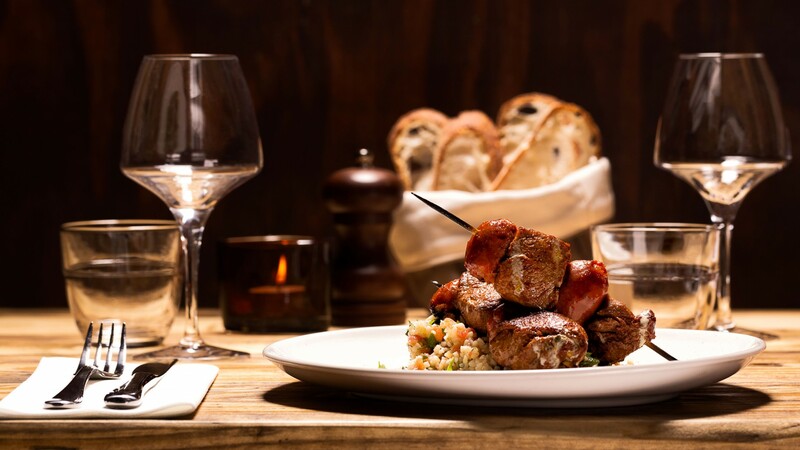 The Darkhorse Restaurant isn't a dark horse when it comes to the race for one of the swankiest places to dine around London Stadium. 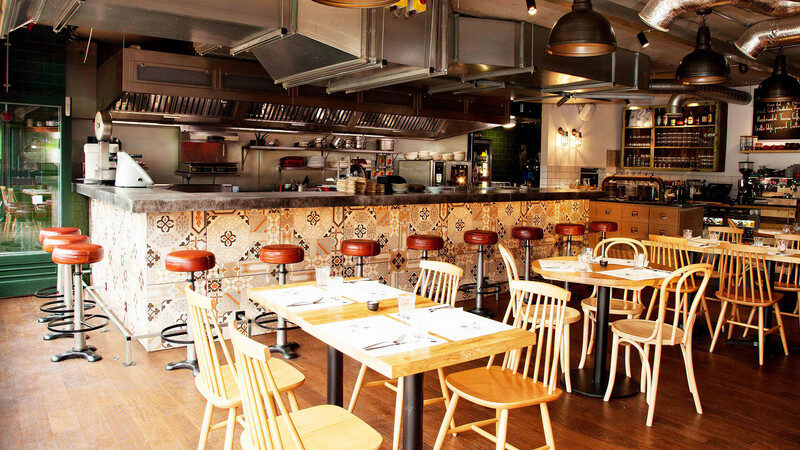 It serves Italian and Spanish-influenced food with a cocktail bar and wine cave in Stratford's East Village, E20. That's a combination desperately asking to be taken seriously, but it's thankfully also one that's executed well. Get a bottle of Borsao Macabeo and forget all about what the league table says. There's always the option to prop yourself at the bar for a plate of mini chorizo and padron peppers if you're in a real hurry. 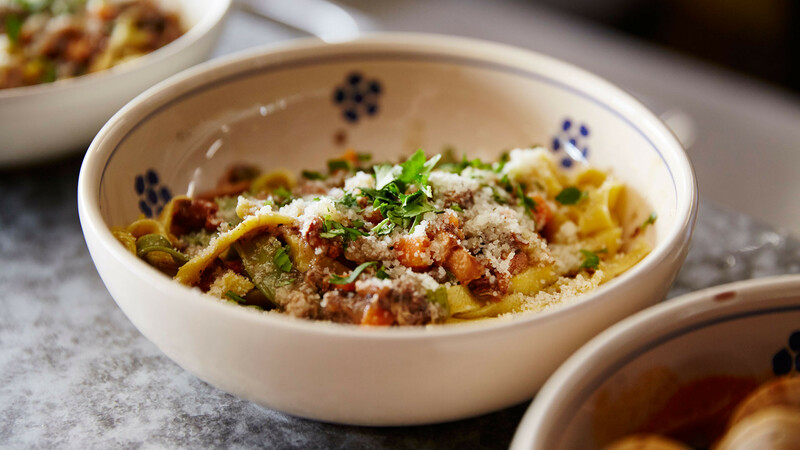 Gotto Trattoria is an independent and family-run joint that has all the hallmarks of an Italian Riviera restaurant. 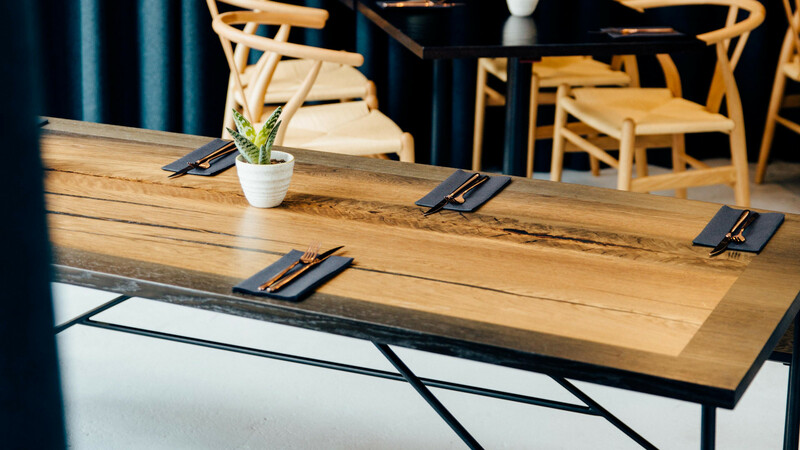 Owners Peter Hughes and Andrea Mantovani, who also brought us Soho's Mele e Pere, opened Gotto on the Canalside in 2016. 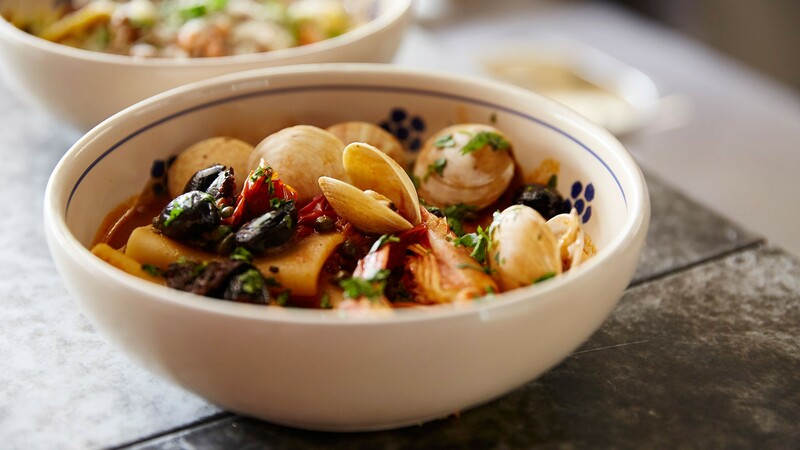 Keep things light and tight with a bit of antipasti. Lamb meatballs with pecorino cheese; courgette fritters; burrata. Or just go full pasta ultra on dishes of maccheroncini with artichoke and white truffle oil. Leave the flares at home for this one, mate.